English Naturalist John Ray once said, “beauty is power, and a smile is its sword.” If there’s anyone who takes this saying to heart, it is Dr. James A. Vito and the team at James A. Vito, D.M.D. 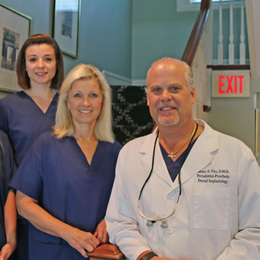 The practice specializes in advanced restorative, cosmetic and implant dentistry, and has been providing flawless, confident and healthier smiles to residents along the Main Line since 1987. Dr. Vito recognizes the impact a smile can have on a person— in fact, stating in a recent study from the American Academy of Cosmetic Dentistry, 88 percent of adults surveyed agreed that they always remembered someone with a particularly attractive smile, and 92 percent felt an attractive smile was an important social asset. Fortunately for those discontent with the current state of their smile, Dr. Vito has the technology and dental solutions to restore your teeth—and confidence—in only a short matter of time. 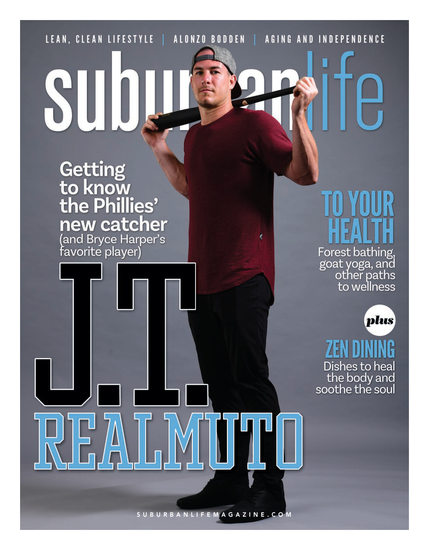 Suburban/Philadelphia Life spoke with Dr. Vito about the multiple benefits behind dental implants, and how they might just be the path best taken to a brighter, healthier smile. The ultimate goal of dental implants is to restore to the patient—who is missing one or multiple teeth— their normal contour, comfort, function, speech, health and esthetics. In severe cases where patients have multiple dental issues and cannot wear dentures, I can help these patients to re-enter and reengage in their lives. Dental implants allow me to restore a patient’s dignity, confidence, function and beauty. Dental implants also allow me to preserve natural teeth and not involve them in replacing missing teeth. What seems to be the main goal of dental implant patient? Dental implants are very in vogue versus when I got involved with them back in 1987. We have patients walking into dental offices requesting dental implant care so as to avoid involving adjacent healthy and otherwise intact natural teeth. The main goal of these patients is that the final restoration looks natural and life-like, and so that no one is even aware that they have a dental implant. So the main goal of most dental implant patients is to have the most cosmetic and natural looking restoration on a dental implant as possible. Therefore, it is very important for the dentist placing the dental implant to know what they are doing, in addition to placing the right size implant for the tooth that is being replaced and placing the dental implant in the right position in the bone. Otherwise the patient will not have an ideal cosmetic result with the final restoration. What are some of the most common problems you see? The most common problem I see is a poor cosmetic result either due to an improper placement of a dental implant, or an implant placed in an area where there was not enough bone or soft tissue and the final crown is much longer or wider than the adjacent teeth. In other situations, due to the poor positioning when the final restoration is made, the patient cannot bite correctly or will start biting their tongues. How can prospective patients research dentists prior to their dental implant care? There are two organizations that provide written and clinical exams to evaluate and qualify dentists to perform and restore dental implants. Upon the successful completion of the written and clinical parts of the exam, the successful candidate is awarded Board Certification in the discipline of Dental Implants. These two qualifying organizations are the International Congress of Oral Implantologists and the American Board of Oral Implantology/ Implant Dentistry. Explain how “Teeth in a Day” works. Teeth in a Day is a very complex and well thought out dental implant surgical and restorative procedure. A patient who is both completely missing all their teeth, or all of their teeth are failing due to gum disease or dental decay, undergo a same day procedure where implants are placed and an implant supported restoration is placed at the same time. This process entails planning the case out on a computer, working out where the dental implants and teeth are going to go and working intimately with a high quality dental lab, who then provides the surgical guides for the exact placement of the dental implants and the implant supported restoration based upon the diagnostic computer renderings. In the past this was a treatment that took eight months and a patient without teeth would be forced to wear dentures while the implants healed and while the implant restoration was being made. Now the time is shortened to a few hours and done in one day. I see you received your dental training at the University Of Pennsylvania School Of Dental Medicine and your post graduate specialty training in Periodontal Prosthesis. What is Periodontal Prosthesis? Periodontal Prosthesis is a very unique and highly specialized program. Periodontal Prosthesis is a total understanding of the Periodontal (gum) and Prosthetic (restorative) aspects of a patient’s specific problem. This discipline has allowed me to look at a problem in its totality and to understand why a patient has a particular problem and from there, to then develop a specific and unique treatment plan that will allow me to provide treatment that is healthy, functional, cosmetic and has longevity. Why do patients seek you out for their dental treatment or implant treatment? I was very fortunate with my dental school post graduate education to be trained by the very best clinicians in the world at the time in the fields of Periodontics and Prosthodontics. Also I trained under one of the preeminent implant specialists in the world, Dr. Carl Misch. I was also on his faculty at the Misch International Implant Institute where we trained dentists across the country and the world in the discipline of dental implants. My background and training gives me a unique way at looking at patients’ problems and provide some interesting solutions. Many times we see patients for second opinions after they have been informed that have multiple dental issues. Other times we see patients when their current treatment is not going well. With other patients time is a key factor in their lives. Many of our patients do not have the time to go to multiple offices to have their dental care performed. They like the fact we can provide a high level of predictable quality dental care in one office. We have the latest technology and tools that allow me to provide total dental implant surgical care, cosmetic dental implant restorations but routine dental restorative care. We can perform multiple procedures all in one office. We also work closely with our lab providing in-office customization of their dental restorations to achieve that natural and rejuvenated look. We also offer sedation dentistry for patients that are fearful and/or apprehensive about their dental procedures. Any parting comments or advice for patients considering dental implants. The final restoration guides the surgical placement of the dental implant. With the cosmetic demands of patients these days it is very important to work with a very skilled surgeon and restorative dentist. In order to have the ideal cosmetic result a patient needs sufficient bone in terms of height and width and the proper amount of gum tissue surrounding the dental implant otherwise there will be a compromised esthetic outcome. If the dental implant is not placed correctly or the wrong size is used then there will be a compromised esthetic result as well and the longevity of the dental implant will come into question. So do your research well in to your dental implant provider(s).